Any Video Converter is a fast and quick SWF Converter to convert any video files, such as MTS, M2TS, MOV, TS, MP4, WMV, FLV, 3GP, 3G2, AVI, MKV to SWF files which can be inserted into HTML page easily, and played back on almost all Internet-enabled desktops, handsets and mobile devices with Flash Player installed. With Any Video Converter, you can convert the video and audio or not include audio, and trim a large video into several small swf files. Apart from this, this converter also allows you to make adjustment to video/audio quality, frame rate, bit rate, sample rate and so on, thus you can get the Flash SWF videos fit streaming media better. Convert any videos to swf file format for inserting into a webpage! Besides converting popular video formats including AVI, WMV, FLV, MKV, 3GP, RMVB to SWF, it features supporting QuickTime HD videos, MTS, M2TS, MOD, TS, TP, MOD videos which discriminates it from other video converters. It supports almost all kinds of portable media players including iPod, iPhone, PSP, Zune; mobile phones including Google Nexus One, BlackBerry and Nokia and game consoles including PS3, Xbox360 and Wii. Any Video Converter offers a fast and easy way to convert AVI video files to SWF flash files. 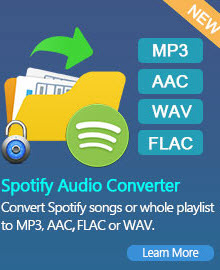 With this professional SWF Converter, you can batch convert AVI video files to Flash SWF videos with different configuration settings, which mean that you can easily convert an entire list of video files with very little effort and customize the audio bitrate, video frame rate, frame size, video smoothing, and more. Most settings are completely optional, making Any Video Converter the perfect software to use for converting video to Flash for users of any experience level. Any Video Converter is a handy MP4 to SWF utility that can perfectly convert MP4 file format to SWF. 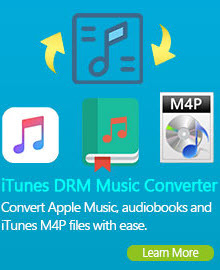 With this MP4 to SWF Converter you can convert part of a video, convert selected duration, convert selected region; apply video effects including Brightness, Contrast, Saturation; and convolution effects including Mirror, flip vertical, Rotate by 90 degrees clockwise and flip, Rotate by 90 degrees clockwise, Rotate by 90 degrees counterclockwise, Rotate by 90 degrees counterclockwise and flip, Noise, and Sharpen. 3GP is the format that is being used by the new mobile phones as the format for media files. More specifically 3GP is the File format that is used for video streaming through the mobile phone, making it possible for those using the File Format on their mobile phones to watch videos and even create videos using the 3GP file format. With Any Video Converter, you can easily convert your 3GP videos shot by your mobile phone to SWF videos used on your website. Any Video Converter is the best FLV to SWF Converter, which provides an easy and completed way to convert FLV file to SWF video. Using this handy swf conversion software, you can convert YouTube(.flv) video to swf and edit flv files before converting. Intuitive interface and all-in-one functions allow you to convert swf to flv easily and perfectly. Embedded with video editing functions allow you to trim videos by setting start time and end time, crop videos by setting the parameter of four sides. SWF currently functions as the dominant format for displaying "animated" vector graphics on the Web. It may also be used for programs, commonly games, using Actionscript. Based on an independent study conducted by Millward Brown, over 99% of Web users now have an SWF plugin installed, with around 90% having the latest version of the Flash Player. Sony PlayStation Portable consoles can play limited SWF files in Sony's web browser, beginning with firmware version 2.71. Both the Nintendo Wii and the Sony PS3 consoles can run SWF files through their Internet browsers.